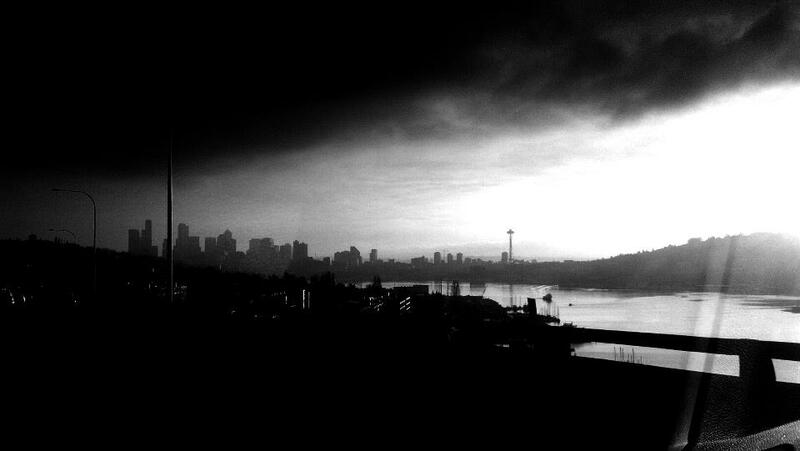 My nephew, Andy Young, an avid photographer, snapped this gripping photo of Seattle on a gloomy afternoon. I immediately thought of both the prophet Jeremiah and the season of Advent. First, Jeremiah spoke to the people of Jerusalem of the impending disaster that was coming. The people had forsaken their covenant with God and so God gave them a real wake-up call. In 587 BC Jeremiah’s “Word of the Lord” became reality. The Babylonian army march into Judah and conquered Jerusalem. The temple of God was destroyed. The leadership and skilled laborers were taken as prisoners into Exile in Babylon. It was a day of calamity. But Jeremiah continued to speak God’s Word and so streaks of light and hope came to the people. Jeremiah promised a new covenant, a new relationship between God and God’s people. This promise is one reason Jeremiah fits so well in the season of Advent. Though we may wait in the dark gloom of winter, praying for spiritual light, we lean towards the coming light of Christmas. A new covenant that will be born in Bethlehem. Alleluia! Lord Jesus, let your light shine bright through me. This entry was posted in Bible, Christmas, Uncategorized and tagged covenant, hope, Jeremiah, light on December 5, 2011 by Pastor John Keller.